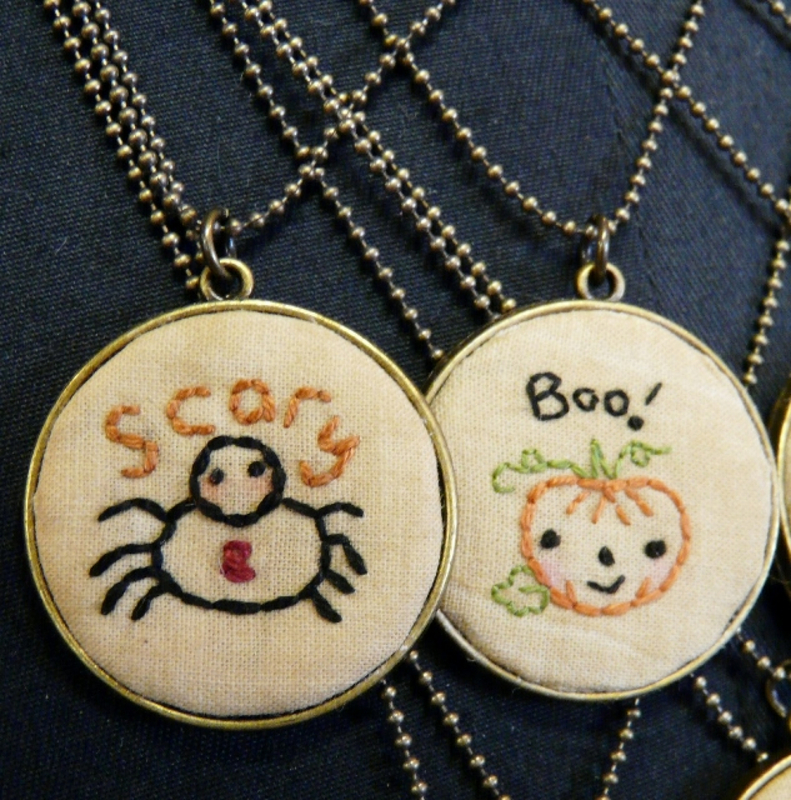 Stitch up some fun Halloween pendants... so sweet, simple to do and super quick. 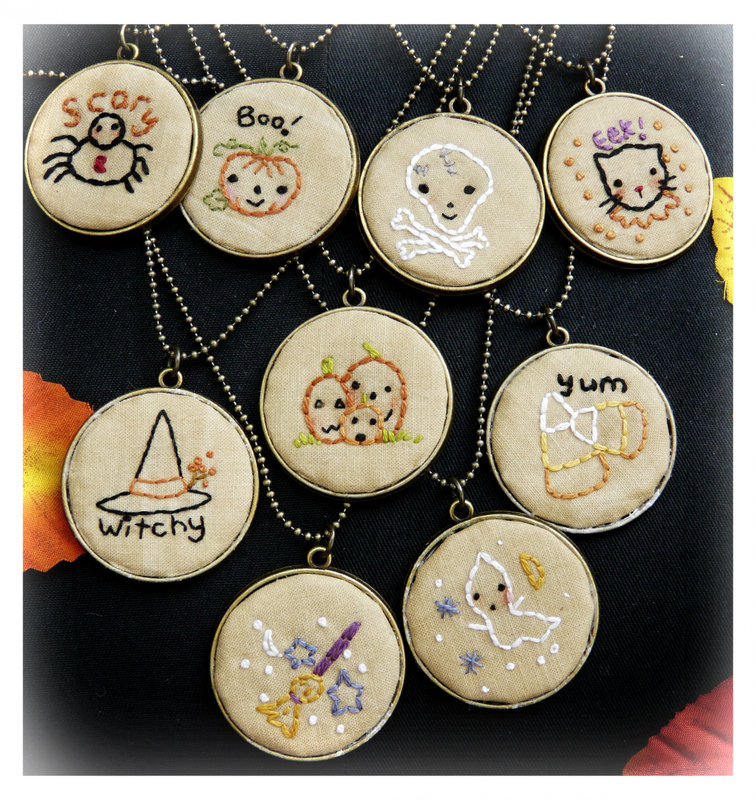 There are 9 designs: spider, boo pumpkin, skull, kitty cat, witch hat, trio of pumpkins, candy corn, broom with stars and lil ghost. 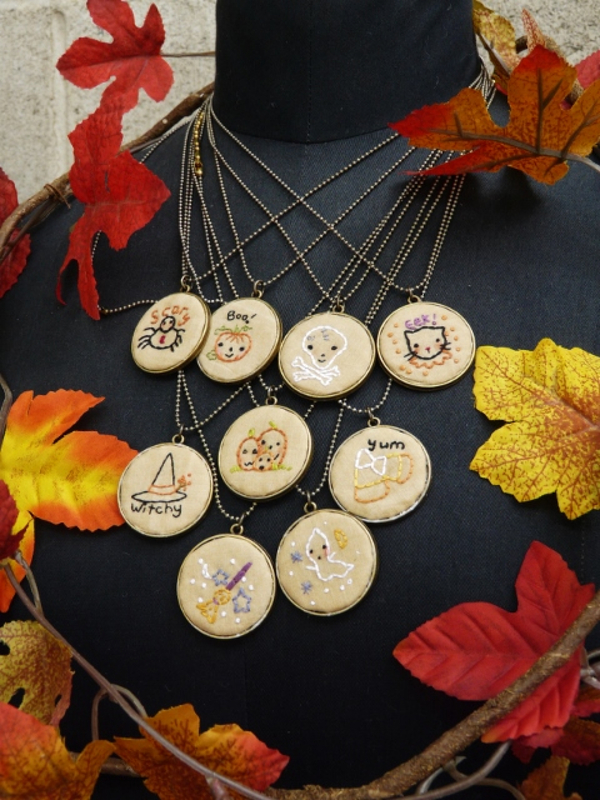 These make perfect gifts and look so pretty with any outfit. They stitch up very quickly....just because they are small doesn't mean it is hard...it is easy. Finished design measures: 1 1/4" round each.